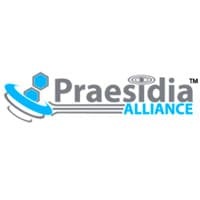 Tonga-based alarm monitoring specialist Praesidia Alliance has developed a range of mobile device applications that link NFC tag reads to alarm monitoring operators. The new 24/7 Point Zero service for security officers combines duty logging, officer safety, GPS location reports, alarm response alerts, customer event report logging and NFC tag-based guard tours with real time connectivity to centrally located duty operators and individual customer account history. A time and attendance and site activity logging service that combines with lone worker and panic alarm activation is also available.